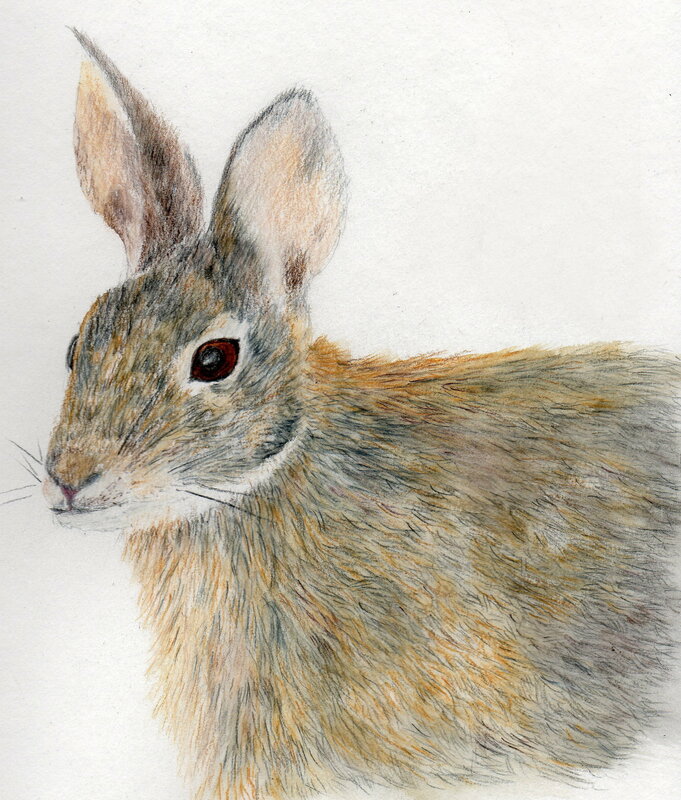 Below is a recent drawing of a rabbit in watercolour pencil lightly washed with water. This is the first drawing I have done for a long time as with the exception of drawing in preparation for a painting I have mostly focused on zentangles and doodle art. I am not satisfied with this at all, I am not good at Drawing. While at first glance this may look reasonably okay, it isn’t. Drawing for me takes hours to get it to resemble the subject I am attempting to portray. I am not naturally accomplished and with less and less practice recently this is even less so. Since getting into the zentangle craze – for this art form is indeed a craze, maybe because it is something creative most people can do – I have drawn realistic art less and less frequently, mostly when painting and even than on occasion I admit to tracing the outline rather than fiddle for ages trying to get the proportions correct. If you are like me and struggle with drawing you might find this article interesting. Apparently according to scientists anyone can draw. With just 10,000 hours of practice no less you can become proficient if you can learn to see the world as it is. “Researchers at University College London believe those unable to draw are not seeing the world as it really is – and simply need to work on their visual skills. I think a lot of the problem with learning to draw for those of us who are not naturally talented is having the patience to look at your subject and to take the time required, which can be lengthy at first, to accurately observe the various aspects of the drawing in relation to one another.Like so many people these days we are in a hurry to do everything, patience and perseverance seem to have gone out the window! Yet nothing can really be learn’t in haste and this most certainly is the case regarding accurate realistic drawing. “Since the dawn of human art-making, the divide has been clear: There are people who can effortlessly sketch an object’s likeness, and people who struggle for hours just to get the angles and proportions right (by which point the picture is scarred by eraser marks, anyway). What separates the drawers from the drawer-nots? http://www.bbc.co.uk/guides/z842xnb – I must say I don’t think Damien Hirst is a good example of an artist and not representative of the type of art most of us practice, but that is my opinion. Nonetheless he is right, anyone can create art and if someone likes it even if it is only you than it is all well and good and worth pursuing. I am not satisfied with this at all, I am not good at Drawing. – I think, its a great picture. I whished, I could draw like you. Thanks very much, you made my day! – The link does not work. Thank you for letting me know about the link. I have changed the link and now hopefully it is working, at least it did just now when I tested it.